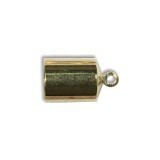 Brand: BeadsmithColour: Gold PlateDescription: 10x4mm Barrel End Cap Fits 3mm CordQuantity: Pk 6Use .. Brand: BeadsmithColour: Silver PlateDescription: 10x4mm Barrel End Cap Fits 3mm CordQuantity: Pk 6Us.. 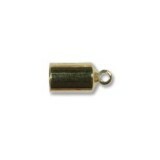 Brand: BeadsmithColour: Gold PlateDescription: 10x5mm Barrel End Cap Fits 4mm CordQuantity: Pk 6Use .. Brand: BeadsmithColour: Silver PlateDescription: 10x5mm Barrel End Cap Fits 4mm CordQuantity: Pk 6Us.. 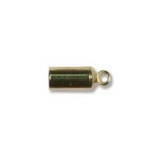 Brand: BeadsmithColour: Gold PlateDescription: 12x7mm Barrel End Cap Fits 6mm CordQuantity: Pk 6Use .. 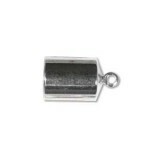 Brand: BeadsmithColour: Silver PlateDescription: 12x7mm Barrel End Cap Fits 6mm CordQuantity: Pk 6Us.. 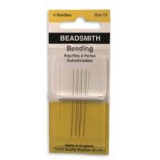 The Beadsmith bead mat creates a comfortable working environment and prevents beads from rolling awa..
John James English needles are high quality needles and very popular among beaders. 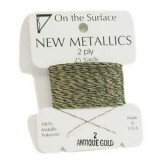 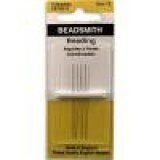 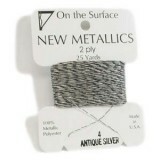 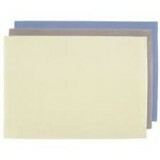 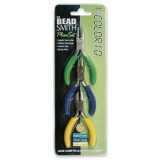 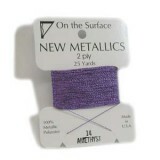 They are stiff, ..
Beadsmith Metallic thread is a 2ply polyester thread that adds sparkle to beading projects. 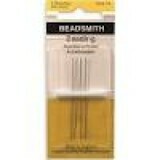 Use them..